A few months back, when I got the chance to test the new Pelikan Stresemann fountain pen, Pelikan was kind enough to also include the matching ballpoint pen. 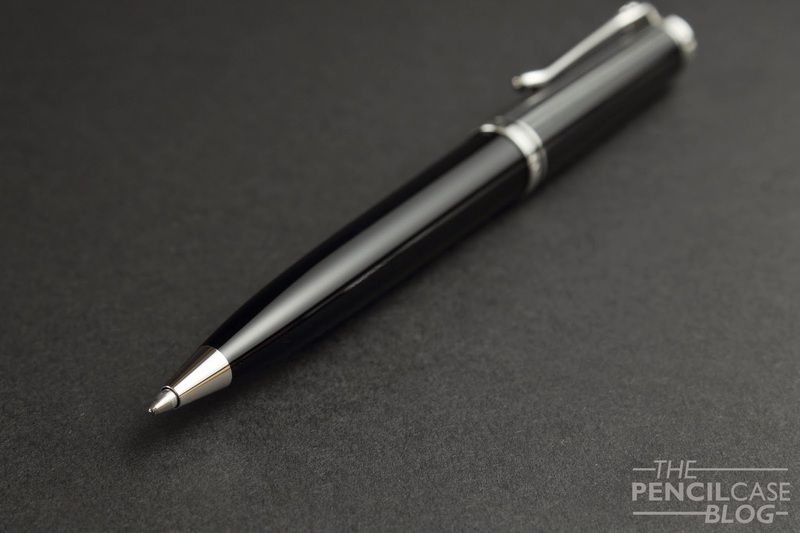 The Stresemann K805 (where K stands for ballpoint, and the 805, as usual, stands for the size and rhodium trims) as I said, is the ballpoint that accompanies the beautiful Stresemann fountain pen. 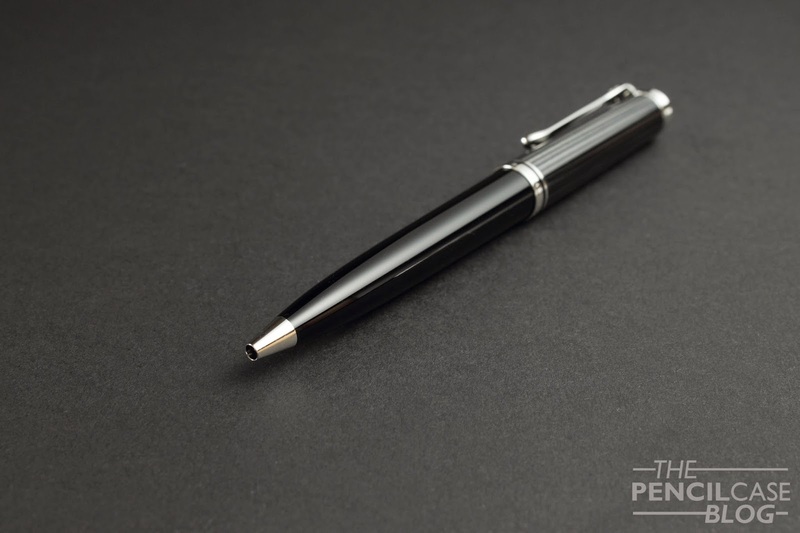 As you can see, the ballpoint is made out of the same materials as the fountain pen (black and silver-grey resin), however on the ballpoint, these parts are on top of a metal construction, which adds some heft to it. The cool thing about the ballpoint, is that the stresemann stripes are on the opposite side of the pen compared to the fountain pen. Where the fountain pen has the stripes on its barrel, the ballpoint has the top part covered in this material. 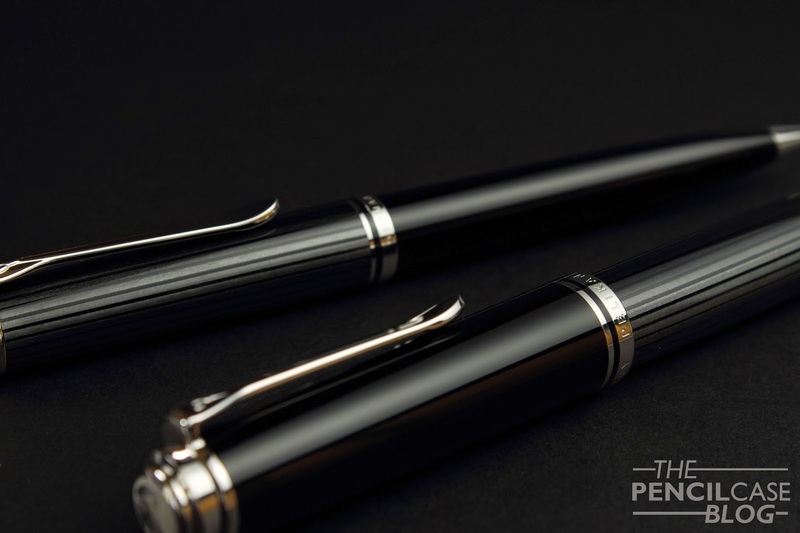 This looks really neat when the two pens are held next to eachother. The K805 is about 14cm long, which is quite substantial, and almost as long as the fountain pen (capped). On the other hand, it is quite a bit thinner, at around 1.3cm at it's widest, and only 6mm at the front. I didn't take any exact measurements on weight, but it feels a bit heavier than the fountain pen (even though it probably isn't). I like to grip it around 2 or 3 cm away from the nose cone of the pen. It isn't extremely wide at that point, but balance-wise, this seems to be the best spot for me. The lack of girth, or perhaps even more important: the lack of a well-formed, comfortable grip section bothers me. I can't say this is the most comfortable pen I've ever used, but then again, I'm pretty certain I'll never say that about a ballpoint pen! The shape of most, if not all, ballpoint pens just doesn't really suit me I guess, and this one isn't that different. That being said, if I could only choose between ballpoints, I'm pretty sure this would be my pick. Of all ballpoint pens I've ever used, the stresemann scores quite high, even though that still doesn't mean I'd pick this over a fountain pen. One thing I find rather strange, is that the ballpoint seems quite a bit smaller than the matching fountain pen. Especially the girth is quite different from the FP. This strikes me as odd, especially because the ballpoint, just like the fountain pen, also comes in a few different sizes. 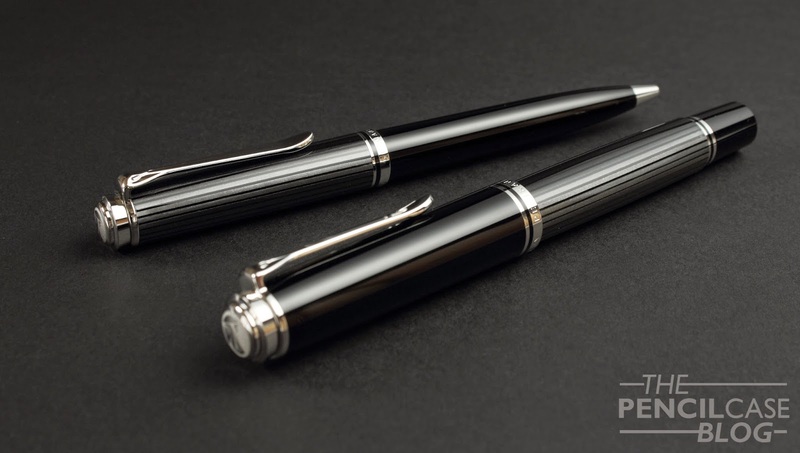 I can imagine, with the K805 being substantially slimmer, one could easily mistake something like the M6XX fountain pen to match it, not the seemingly larger M8XX. Fit and finish on the ballpoint is as excellent as with the fountain pen. I couldn't notice any flaws, the stripes were nice and straight, and the twist mechanism operates smoothly. The refill it comes with, Pelikan's own parker-style ballpoint refill, works really well. The medium tip, black ink refill writes very smooth and consistent. Its relatively dark for a ballpoint, though nothing like fountain pen ink yet. Overall, I think the K805 Stresemann ballpoint is one of the nicer pens in its category. It works well, looks nice (especially in combination with the Stresemann fountain pen of course! ), and is built incredibly well. But that doesn't mean that I think the price tag is fully justified! It comes in at 325 EUR (somewhere between 300 and 400 USD), which is not cheap at all. 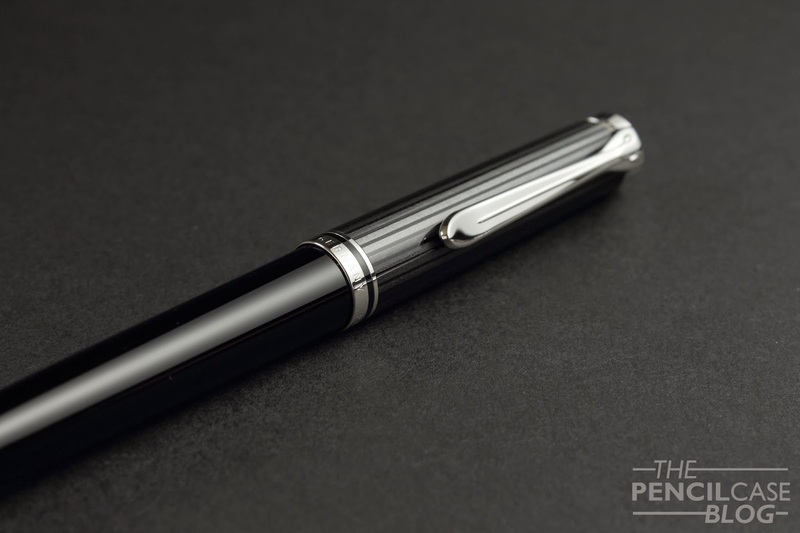 I still prefer spending this kind of money on a nice fountain pen, but if you're a ballpoint-addict, this one should probably be on your shortlist!